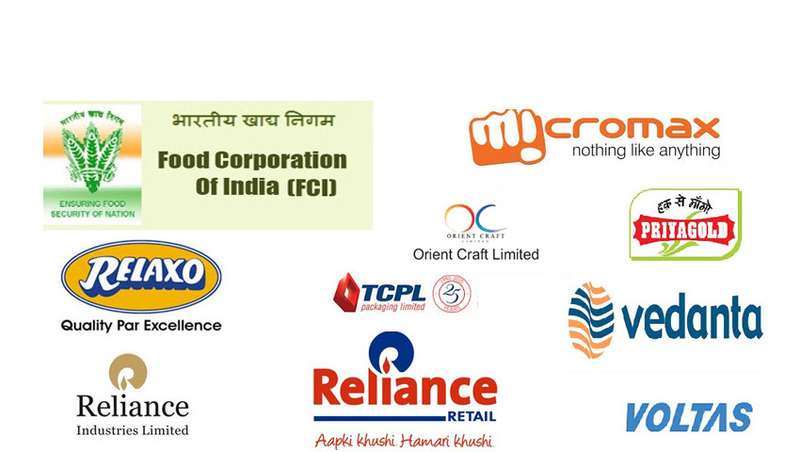 We are a leading Manufacturers & Exporters of Loading and Unloading Conveyors such as Flexible Conveyors, Wagon Loaders and Unloader, Bulk Loading Conveyors, Bag Stackers, Telescopic Belt Conveyor, Flexible Loaders and Unloader Conveyors and many more items from India. We have over 30 years of experience in design & manufacturing customized conveyor systems for loading & unloading. Our ISO 9001:2008 systems certified workshop is fully equiped with fabrication equipments and is located in Noida (Delhi NCR). Our Bulk Loading Conveyors provide highly efficient and time saving solutions for loading loose flowable bulk materials. The conveyor are used in loose container fast loading & unloading completely untouched. Please contact us if interested. Heigh adjustable boom for better reach inside the container. Sturdy & mobile conveyor chassis. Can be customized for any type of loading capacity or requirement. Robust construction and field tested design for long life and trouble free operation. For loading bulk materials like - food grains, pellets, sand, gravel and other flowable materials. Our Flexible Loaders and Unloader Conveyors are low cost and portable solutions for loading & unloading vehicles. This is an efficient, fast and an economical solution for loading and unloading of packages into and from trucks / Containers. Custom built belts ensure proper gripping of packages while loading or unloading them. Mobile and easy to manouver in position as and when required. Height adjustable conveyor segments for better ergonomics. Roller conveyor segments can be extended to three times its length. Option of powered or gravity roller conveyor segment. 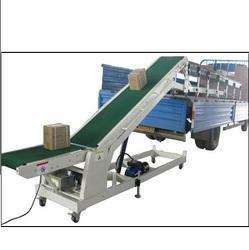 Our telescopic belt conveyors are suitable for all requirements of easy and efficient loading and unloading of goods. Suitable for loading all kinds of vehicles - trucks, trailers, vans, containers, wagons & aeroplanes. Suitable for all unit loads - cartons, packages, bags, crates, etc. Bridge variable distances from the loading/unloading point ot the storage area. Length of the conveyor can be varied as the vehicle fills up or empties out. Hydraulic systems for inclination variation and swivel for easy reach to almost every point inside the vehicle. Different range of chassis available - mobile, dockless & dockable. Wide range of automation system options - bar code reader, RFID readers, package counters, etc. Warehouse/distribution centres, manufacturing and logistics companies. OurTruck Loading and Unloading Conveyorprovide highly efficient and time saving solutions for loading loose flowable bulk materials. 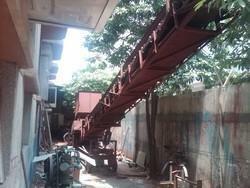 The conveyor are used in loose container fast loading & unloading with untouched. Please contact us if interested. We provide customized solutions by our Loading conveyors. 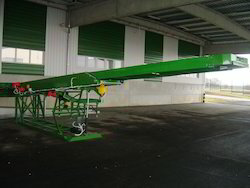 Height adjustable boom for better reach inside the container. Our Wagon Loaders provide efficient loading & unloading solutions for wagons. 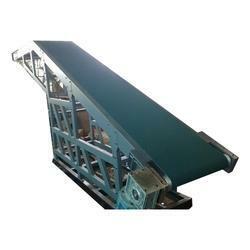 These Conveyors are manufactured using top grade material that ensures their durability and performance. These Expandable Conveyors are available at competitive prices. Mounted on fully mobile chassis driven on rails. Hydraulically height adjustment for greater reach. Easy synchronization with bagging and dispatch/production systems. High quality and tested design for reliable, efficient and safe operation.